Robinson Construction Limited is a construction company focused on high-end residential housing and commercial construction projects. With a steadfast focus on quality, the company has been recognised nationally with many awards and accolades. For consistently reliable and precise construction of top end housing or commercial buildings anywhere in New Zealand, contact Robinson Construction Limited. Mainland Homes builds new homes in the Marlborough area. We have a wide range of ready to build plans meaning that your new home can be ready faster than ever. We ensure your new home is constructed to the highest award winning standards with Mainland Homes. Centaland Holdings Ltd is a bulk products business in Riverlands, Blenheim with both depot sales and full distribution facility. The company began in 1990 as a one-man business. Over the years, Centaland Holdings Ltd has grown and diversified with various but inter-connected activities catering to both the rural and urban communities within the South Island. At Mint Air we pride ourselves in delivering a 1st class, competitively priced service to all of our clients. Because we work together as a team, we can offer this personalised service from start to finish to ensure your purchase/installation is a pleasurable one. Ian "Minty" Molloy is the hands-on guy and the one to give you all the technical information you will need in order to make an informed decision about the most suitable unit for you. 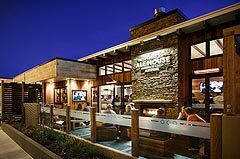 Chris Nott Architecture + Design's services includes conceptual design and site analysis, full contract documentation, contract administration and consultant liaison and aims to deliver a high level of economic architectural design to clients in the Nelson and Marlborough regions. Bainbridge Building and Roofing is a Marlborough based building company with more than 10 years' experience in residential and commercial construction. We place the highest priority on customer satisfaction. As a result, we have gained the trust of a long list of repeat customers, and a reputation for quality, speed and value that is second to none. From the initial plan review, budget analysis, and throughout construction our focus is our customers. As building a new home can be one of the most stressful undertakings in your life, it is really important that you choose a builder that fits with you. When you deal with us you will be talking with a builder and not just a salesperson. We believe that it is important that the person in overall charge of building your home completely understands the building process and can solve any problems before they escalate. Based in Blenheim, we service clients throughout the South Island. We have a wealth of experience throughout the Marlborough Sounds, Wairau and Awatere Valleys and also Kaikoura. Combining years of experience and local knowledge with the latest instruments and software technology allows us to deliver leading edge surveying services. We offer a complete subdivision service, from your resource consent application, through engineering design and supervision, and Land Transfer surveying. Specialising in television and electronics repair for the last 30 years, Marlborough TV Services repair everything electronic from televisions, DVDs, home theatre units, stereos, videos, CD players and car stereos. Our fully qualified and experienced technicians are on hand, at our workshop or in your home, to install, repair, and answer any questions you might have. Locally owned and operated, we pride ourselves on quality workmanship, prompt response times and friendly and personal service. Complete Electrical Marlborough is a leading electrical contractor company, offering complete electrical installations as well as electrical maintenance & servicing. Tim Barton Architect Ltd is an architectural practice recognised for service, for commitment to clients and for high-quality design solutions. Ours is the only firm of Registered Architects in Marlborough solely dedicated to the practice of architecture. We are involved in a wide range of projects throughout the top of the South Island. Hamish Ryan Construction is Marlborough's premium construction company, offering the complete residential and light commercial building experience. As members if the Registered Master Builders, we are passionate about the industry, ensuring all of our projects are completed with a high level of pride, workmanship, professionalism and client satisfaction. We have a proven record of constructing some of Marlborough's most exciting and prestigious properties and we will work closely with you to realise your vision. Customer service is at the top of Roofline's priority list. No job is too big or to small, and every customer is important to us whether you want to build a bird house or a mansion. Creativity alone is not enough to create the best gardens. The amazing and beautiful needs to be balanced and merged with the practical and the functional. Your garden is not a show garden – it has to fit your lifestyle and we can design your practical requirements with the aesthetics that you are seeking. 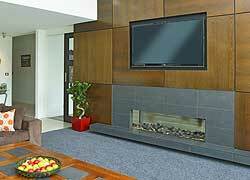 We specialise in designing beautiful, practical areas that cover all your bases! Landscape Marlborough provide residential and commercial landscaping for Blenheim, Seddon, Havelock, the Marlborough Sounds and surrounding areas. Plumbing and drainage, solar water heating, heating design. Have all the plumbing repairs and installations you need completed by a competent Master Plumber you can trust! Endeavour Homes Marlborough is a 100% locally owned and operated building company based in Blenheim, Marlborough. When building with Endeavour Homes you deal direct with the owners every step of the way. Smart Alliances brings together the complementary fields of resource management, architecture and engineering for all building and development projects. DesignHQ is your first stop for all your architectural, interior and landscape design needs. Providing you with quality design solutions. We specialise in residential additions, alterations and renovations along with a multitude of other services: new homes, decks, fences, roofs, floors, retaining walls, garden boxes and general maintenance in Blenheim, Marlborough. MC Construction is a family business and has been in the building industry for 25 years. Over these 25 years we have sold and erected hundreds of buildings throughout the Marlborough region and beyond. Our core business is residential housing and garaging. We maintain a key staff level of four personnel plus contractors. We also draw on other proven sub-contractors as needed, i.e. builders, gib fixers, gibstoppers, electricians, painters, and other sub-trades. 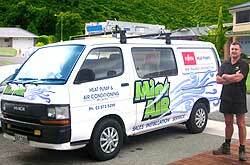 Looking for plumbing specialists in the Marlborough region? Morgan Plumbing Ltd has the experience and tools to get it done. 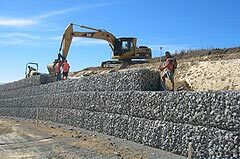 Foreshore Construction is the complete solution for all your foreshore structural needs and individual jetty design options, including floating pontoons, retaining walls, seawalls, cliff steps and repairs to existing structures. Scaffold Marlborough is a Blenheim based scaffolding company comprising a small team of qualified scaffolders and using the Layher scaffolding systems. Layher are internationally recognised as the worlds largest supplier to industries such as construction, mining and events. 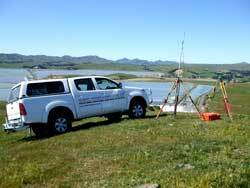 Blenheim-based registered professional surveyors, Ayson and Partners Ltd provide a professional, efficient subdivision and surveying service to local and national companies and organisations. Our most valuable resource is our people. We have an accomplished and dedicated team of over 30 people. Constant opportunities to up-skill through both formal and practical training on the job ensure a solid skill base. Marlborough Shingle and Shake Roofing New Zealand,Blenheim based company specialising in the application of cedar and asphalt roofing. Marlborough Electrical Solutions is striving to become the leading provider of design build electrical solutions in the Marlborough area, we have an experienced automation and design team coupled with a tried and tested installation and maintenance team to provide long term solutions. Mark Hawkins Architectural Design is an award winning practice based in Marlborough who have been involved in projects throughout the South Island. Designer Mark Hawkins was involved the building industry for 15 years as a qualified builder before retraining and applying these skills to the design industry. Discover the attraction of Blenheim's idyllic location with a walk through the Wither Hills Farm Park, which offers some excellent views over Blenheim, the Wairau Plains and across Cloudy Bay toward Cook Strait. The region's Maori have a rich history and culture. Enjoy the warmth of Maori hospitality and retrace the footsteps of their ancestors and explain how traditional values fit into contemporary lifestyles. Experience the thrill of floatplane flying and enjoy the wonder and beauty the Marlborough Sounds region has to offer. Take a sightseeing flight over the Sounds or fly direct to your accommodation.